Snape, Suffolk. I must have passed this building many, many times on the Tunstall to Snape road without realising its significance. It was in fact the Snape station goods office. 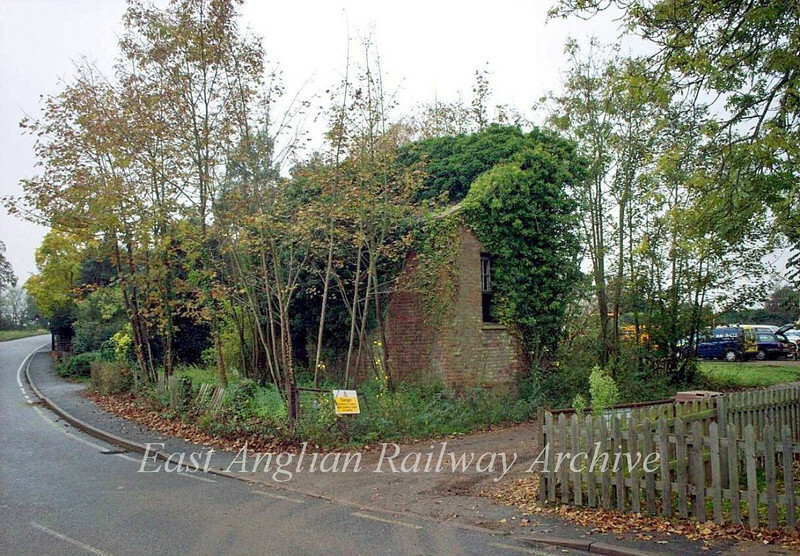 Behind it was the goods shed which was demolished in 1957. The line itself which was goods only was closed on 7th March 1960. It crossed the road here and into Snape Maltings via the arch in the next photo. Picture dated 22nd October 2007.